In the roofing business for 35 years, Beckwith Commercial Roofing offers a wide range of services. We cater to our commercial clients, offering everything from repair to replacement. Consistently achieving high ratings from our manufacturers and suppliers, we offer only the highest levels of service and installation. Our services are marked by quality workmanship backed by American-made products that offer long-term protection for your business. This company was founded in 1983 by Jeff Beckwith. 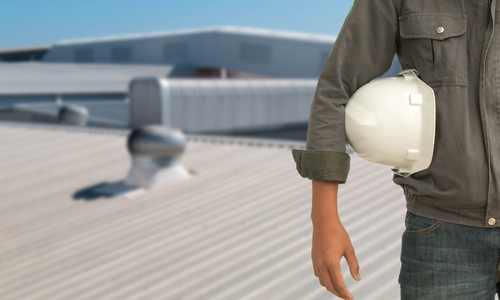 He wanted to offer his clients an unwavering commitment to quality, safety and customer satisfaction.​​​​ So, when you want quality, choose Beckwith Commercial Roofing as one of the top commercial roofing companies in Bettendorf IA. Roof Replacement: We install single-ply roof systems, including Duro-Last, Carlisle, Mule-Hide, GAF, P.V.C., T.P.O., E.P.D.M. and GenFlex. These products are code compliant and come with industry-leading warranties. In addition, they are resistant to fire, chemicals and high winds. Metal Retrofits: If you don’t need a total replacement, choose a metal retrofit instead. It’s more affordable to install, adds insulation and reduces energy costs. 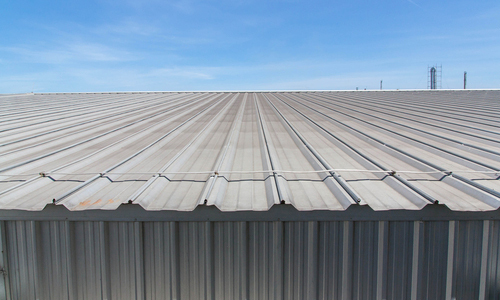 Sheet Metal Service: Our team can fabricate metal roofing and roofing components on site with our Zimmerman standing seam machine. Finally, Repair: Roof leaks and punctures require localized repair. Most times, we can fix the leak the same day you call. We offer free estimates, along with consultations, moisture scanning and infrared service. Professionally installed by authorized contractors, you can rest assured you’re getting the highest quality products at the best price when it comes to commercial roofing in Bettendorf. In conclusion, learn more about our commercial roofing services in Bettendorf by calling us at 563-219-7064 or emailing us at info@beckwithcommercialroofing.com. For your convenience, we are located at 1801 S. 21st St. in Clinton, IA.